Simon & Schuster, 9781476795164, 336pp. Joan Crate was born in Yellowknife, North­west Territories, and was brought up with pride in her Indigenous heritage. She taught literature and creative writing at Red Deer College, Alberta, for over 20 years. Her first book of poetry, Pale as Real Ladies: Poems for Pauline Johnson, has become a classic. Her first novel, Breathing Water, was shortlisted for the Commonwealth Book Award (Canada) and the Books in Canada First Novel Award in 1989. She is a recipient of the Bliss Carman Award for Poetry and her last book of poetry, SubUrban Legends, was awarded Book of the Year by the Writers’ Guild of Alberta. She lives with her family in Calgary. 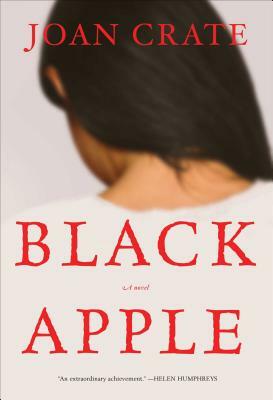 "Black Apple describes life in a prairie residential school in the 1940s and 50s, in all its heartbreaking complexity. It is a compelling and powerful novel, with beautifully rendered characters, and a lyricism that speaks to Joan Crate’s background as a poet. An extraordinary achievement." “An an emotional powerhouse. . . . This may be just a work of fiction, but the story inside is a must read for all of Canada."